Keith Sahm, General Manager of the world-famous Sunset House, and a lifelong diver and master instructor, said dredging in Bimini to make way for a cruise port are taking a toll on that island’s marine resources. “Hopefully, we can learn from others’ mistakes and we won’t have that happening here in Cayman,” he said. Mr. Sahm’s comments came in response to the signing of a $2.5 million contract for an environmental impact analysis related to a proposed cruise berthing in Cayman where along with marine resources, the study will examine traffic flow and other issues. The dredging required, Mr. Sahm said, would kick up enough sand and silt to suffocate corals, effectively wiping out Cayman’s main attraction and triggering a ripple effect that would impact the entire economy. “Once people start coming down here not to dive because everything’s washed out, dead, the taxi service, the hotels, everything will take a huge drastic hit,” he said. The widely circulated TV interview that has been circulated over the internet and among dive enthusiasts included mention of the mammoth suction cutter dredge, the 450-foot Niccolo Machiavelli, that is plowing through waters off North Bimini now even as the legal battle continues about whether or not proper permits were granted prior to work starting. The reference to “learning from others’ mistakes” was the latest in an onslaught of criticism of the project that some maintain is simply too large for the island. Malaysian-based Genting Corp.’s Resorts World Bimini wants the cruise port in aid in driving business to its resort and casino. The company has revealed it wants to attract as many as 500,000 guests a year, disgorging cruise passengers onto an island that now has a population of about 1,700. Warnings about the impact of dredging to accommodate cruise ships came originally in the company’s own commissioned Environmental Impact Assessment and lately, from all over the globe. Last week, internationally respected marine artist and scientist Dr. Guy Harvey urged caution before Bimini’s reefs that some have called among the most magnificent in the world were destroyed. “The islands of Bimini are an environmental gem and every step should be taken to conserve these resources,” Dr. Harvey said. “Having started the first recreational dive operation in Bimini in 1975 and still involved in promoting diving in Bimini, I am devastated by the pending catastrophic event about to occur in this diver’s paradise,” said Watson. “This fragile ecosystem has already suffered a degree of degradation over the past 40 years, which has occurred throughout not only the Caribbean but also the entire world. 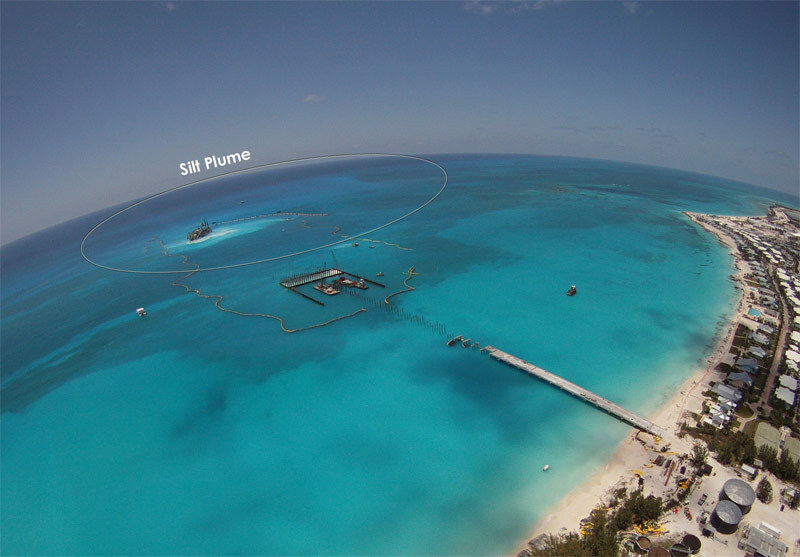 However, this dredging project will cause more irreversible damage to the reefs in the next 30 days than would normally occur over the next 30 years. “This is not just an environmental issue but an economic issue. In addition to the three top of class dive operations located in Bimini that generate millions of dollars in revenue for the hotels, marinas, restaurants, bars and merchants, Bimini is uniquely located 48 miles from South Florida, which has the largest number of registered boats as well as the largest concentration of divers in the Continental Unites States. Because of Bimini’s proximity to South Florida and its reputation as a world class dive destination it attracts hundreds of small boats that come to Bimini to dive Bimini’s incredible reefs and support the local hotels, marinas and merchants. All of this is in jeopardy,” said Watson, who holds the world record of the deepest compressed air dive, descending to 437 feet. He once swam 66 miles underwater in 19.5 hours from the Florida Keys to Miami, never surfacing. He’s been featured in People Magazine and Outside magazine, and on TV in many shows, including Inside Edition and The Today Show. And the dive industry’s organization, DEMA, expressed similar outrage. “A very real concern to DEMA and to all diving businesses – especially those based in nearby Florida ­– is the fact that any environmental degradation, especially of the magnitude being described in the North Bimini Ferry Terminal Project EIA and its addendum, is likely to have a negative impact on the perception of pristine diving which Bimini now holds in the minds of diving consumers,” said California-based DEMA president Tom Ingram. 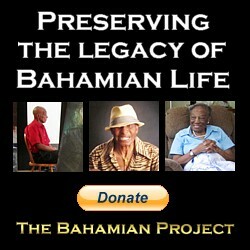 Thousands have signed a petition urging the government of The Bahamas to enact a Freedom of Information Act and an Environmental Protection Act that they say, had they been in place, would have allowed public consultation before a project of this proportion was undertaken and might very well have prevented dredging that is predicted to cause irreparable damage, according to the company’s own Environmental Impact Assessment.